No game day viewing party is truly complete without buffalo wings, everyone’s favorite sports bar snack. It’s hard nowadays to imagine sitting down for the big game without them, but when exactly did they become so closely associated with sports? Below, learn what exactly brought buffalo wings into the world of sports. Back in the 1960s, the wings of chickens were considered rubbish. Restaurants and households generally did not use them—that is, until the Anchor Bar received an incorrect shipment of wings in 1964. So as not to waste them, co-owner Teressa Bellissimo crafted them into the buffalo wings you know today. The family began serving these wings at their bar in Buffalo, NY, and soon their popularity spread far beyond New York. Wings gained a lot of traction at bars. This was their starting point, and with all of their benefits, it’s easy to see why bar owners loved selling them. They were inexpensive for owners and customers to buy, people could split them with a table of friends, and they were a tasty finger food that could be eaten alongside a cold beer. This rise in saucy fame coincided with the first-ever football championship game in 1967. With their spot as the perfect bar food sealed right before the beginning of what would become the biggest sports event of the year, buffalo wings became an essential part of football. Of course, customers were happy to extend this bar food to other sports. Any game viewable on television, from baseball to basketball to soccer, will bring in wing-lovers from all walks of life. Sports fans can order piles of the snacks drenched in their favorite sauces, all while watching the big game with friends and family. Perfect timing, fair pricing, and a rise in popularity in bars truly put buffalo wings in its place as a game day staple. If you’re looking for a spot to eat great food, drink beer, and watch the big game with fellow sports fans, come to Danbury, CT’s Buffalo Wild Wings®. 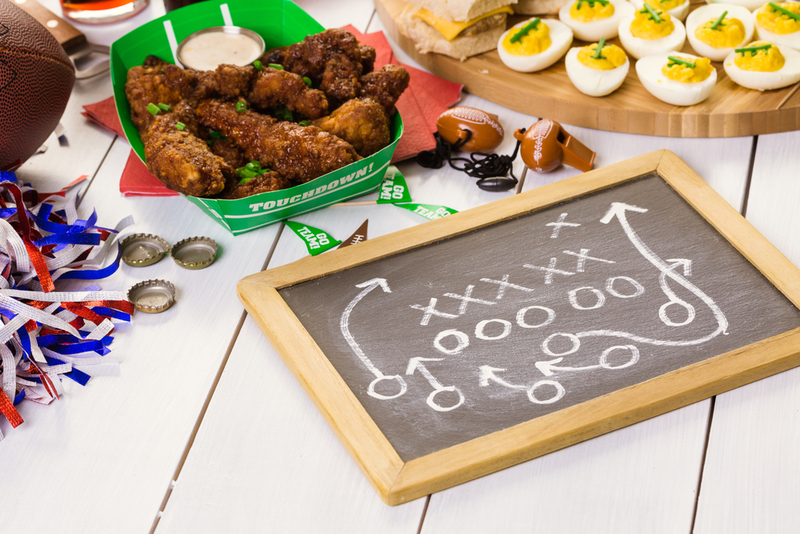 With a variety of buffalo wing sauces and dips to choose from, your game day will be packed with flavor. No matter what your sport of choice, B-Dubs® will have it playing for you in no time. Visit them online to see their full range of wing options. To speak with a staff member, call (203) 794-9453 today.